Episode 12: Celebrity Big Brother - Celebrities or Nobodies?! 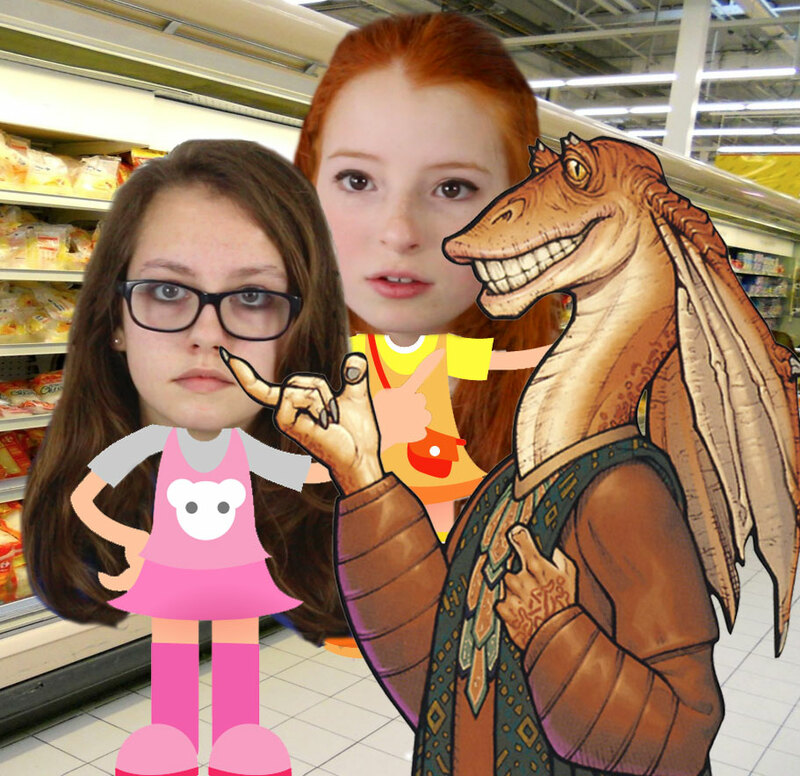 So if you remember, we bumped into some of the Star Wars cast in Lidls the other week. We managed to interview some huge stars from this epic sci-fi saga, including Yoda, Darth Vader, Han Solo and C3PO. You can check them out on the interviews page of NiliPOD.com, or listen to the podcasts. The final star that we managed to chat to was annoying Jar Jar Binks. He had floppy ears and Liv kept stroking them didn't you Liv. Yeah, he was a bit like the Easter Bunny on steroids. Jar Jar was by the dairy produce and we didn't actually see him straight away, but we certainly smelt him. Play the clip Nia, and apologies for the background noise of the beeping checkouts and shoppers. What's that awful smell, Liv is that you? What a stink, was that you then Jar Jar Binks? Yes, it certainly does smell stink-a-whiff Jar Jar. Don't be embarrassed. And can we interview you for the NiliPOD Jar Jar? Oh, suit yourself floppy ears!